The perennial Gardeners’ World returns to our screens this week, a show that has now been running for half a century. 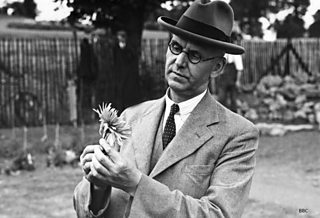 To celebrate, the BBC Genome blog looks back at some of the pioneer gardening shows on BBC radio and television. If you go back to the earliest mentions of gardens, gardening and horticulture in the Genome database, you will find them in the very first issue of Radio Times in 1923. As well as people’s own gardens, there was an increase in the use of allotments in the early years of the 20th Century; both world wars, and the economic depression between them, showed the importance of gardening as an activity to provide extra food, and this was reflected in BBC programmes. The earliest gardening talks were regionally based, as all broadcasting was at the start. In London there was Mrs Marion Cran, in Birmingham Mr Sidney Rogers, and Mr Richard Treseder in Cardiff. All three were Fellows of the Royal Horticultural Society. As the network of broadcasting grew programmes began to be shared, with the output of London predominating. The Week’s Work in the Garden took over as a venue for gardening advice, presented by unnamed members of the Royal Horticultural Society. In 1931 the name of C.H. Middleton was first seen in the pages of Radio Times: Cecil Henry Middleton had worked at Kew Gardens, and was recommended to the BBC by the Secretary of the RHS. He first presented a series of talks called The Week in the Garden, then in 1934 began In Your Garden, the introductory article for which credits him as the BBC’s gardening correspondent. He was to become nationally known just as “Mr Middleton”, and was the first gardening star. In November 1936 Middleton appeared on television, demonstrating Autumn Pruning. In Your Garden also became a television strand soon after, with Middleton creating a garden in the grounds of Alexandra Palace. Television’s ability to show rather than just describe plants was a great boost to the subject. After a few months the series was renamed In Our Garden, since the emphasis was on the BBC’s own plot. The Chelsea Flower Show is one of the great occasions in the gardener’s almanac. It began in 1912, and was first the subject of a broadcast in 1927. In 1938 television showed the event for the first time. There was another outside broadcast from Chelsea in 1939, but just over three months later television was closed down just before the outbreak of World War Two. Mr Middleton continued to broadcast on radio, with the talk Your Garden in Wartime as well as In Your Garden, which was now in a regular Sunday afternoon slot. Wartime rationing and the “Dig for Victory” campaign meant that gardening became a subject of national importance. Mr Middleton was not to resume of his television career, as he died in September 1945. When In Our Garden returned on 9 June 1946, two days after television’s relaunch, it was with a new face, but a familiar voice. 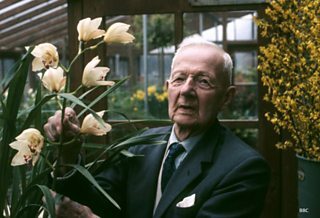 Fred Streeter had taken over In Your Garden on the Home Service in June 1945, and so was the natural choice to present In Our Garden. The series expanded its scope, with other experts coming in to discuss topics, such as Reginald Gamble showing viewers how to keep bees. In 1950 Streeter went further afield and showcased the horticultural endeavours of members of the public in a short series, Your Garden. Involving the public had already become a feature of gardening programmes, with the debut of Gardeners’ Question Time on the Northern Home Service in November 1948. It took some time for what is now a staple of the Radio 4 schedule to become established on the national Home Service, but viewers were to get a flavour of the programme when one edition was televised from Harrogate in June 1955. In 1957 the Gardeners’ Question Time formula was tried nationwide, under the title Down the Garden Path, on the Light Programme. Gardeners’ Question Time made its full nationwide debut on 29 September 1957 on the Home Service. Freddy Grisewood chaired, with Fred Loads, Bill Sowerbutts and Alan Gemmell as panellists. 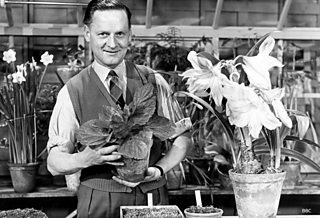 In 1950 In Your Garden ended, to be replaced by a series called Home Grown fronted by Roy Hay, but this reverted back to the old title in 1957, on Network Three and then on the Home Service and Radio 4 until 1970. In Our Garden gradually withered away on television, reverting to the title In Your Garden as an item in About the Home, part of the afternoon strand Mainly for Women. Its successor was the long-running Gardening Club, which began in September 1955. Originally part of the Club Night/Club Time strand, it was based at the BBC’s Gosta Green studio in Birmingham – and Birmingham was established as the home of horticultural and agricultural programmes. Gardening Club made a star of its host, Percy Thrower. He had broadcast on radio in Children’s Hour from 1950, and soon began contributing to television, first appearing in the series Out of Doors in 1954. Gardening Club soldiered on through most of the 1960s under Thrower’s guidance, and was finally added to television’s compost heap in December 1967. The BBC replaced it with a show that went out on BBC2 from 5 January 1968 – in colour, which had just come in as a full service on the channel. The programme was called Gardeners’ World. While it was transmitted on what was often called the “minority channel”, Gardeners’ World kept up the reputation established by Gardening Club, but also used the opportunity of the new format to freshen up its approach to the subject – flowers naturally benefitting from the added dimension of colour. Percy Thrower continued as presenter of Gardeners’ World until 1976. He also had a long association with Blue Peter, in 1974 establishing the programme’s garden (originally at Television Centre, now transplanted to Media City UK in Salford) which helped introduce generations of children to the joys of growing plants.